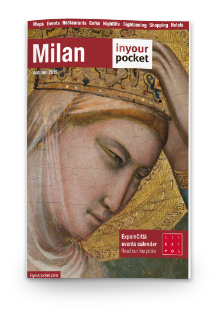 Milan, during the Epiphany weekend, offers many exhibitions for those who decided to stay in the city instead of skiing before returning to work on Monday. Here are some tips on what you can do in Milan from 5th to 7th January. 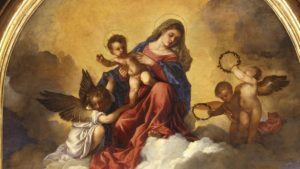 The last days in which Palazzo Marino hosts Tiziano’s masterpiece, the Sacred Conversation. The exhibition will be open until January 14th. The work was intended for the altar at the main altar of the church of San Francesco in Alto in Ancona and is the first signed and dated painting by Tiziano known to us. Also to be admired on the back, where there are drawings by Tiziano, is part of the classic iconographic genre of the blades but with details typical of the great painter: the Madonna with the Child suddenly appears in a sky burning by the sunset; below San Francesco, to whom the church that housed the altarpiece was dedicated, and San Biagio, protector of the Dalmatian city, which indicates to the client kneeling the celestial apparition. In the background, the San Marco basin with the Palazzo Ducale and its bell tower stands out. To reach Palazzo Marino, take the red Milan metro or the Milan yellow metro and get off at the Duomo stop. With the Milan City Pass, travel free on all public transport in Milan, find out how! A few steps from Palazzo Marino, in via Silvio Pellico 2, with the Milan City Pass you can visit for free Highline Galleria, the path on the roofs of the Galleria Vittorio Emanuele, click here. You always have until January 28 to see a different show, where art mixes with technology, music and entertainment and gives life to a real experience that involves all the senses. Let’s talk about Marc Chagall’s dream of a summer night: a real journey by stages in 12 macro sequences that follows the creative path of the French national Belarusian painter. His world will unfold before your eyes showing you the universal themes of his work. Love, the family, but also the roots, not just geographical and then landscapes and music. To reach the Permanete of Milan, take the yellow metro of Milan and get off at the Turati stop. With the Milan City Pass, travel free on Milan’s public transport, click here. The Bicocca Hangar is always worth a visit, even if it is not very close to the center, but still well connected thanks to the Lilla metro (Ponale stop). Worth a visit in particular these days because there is time until January 14 to see the exhibition at free admission Take me (I’m yours). 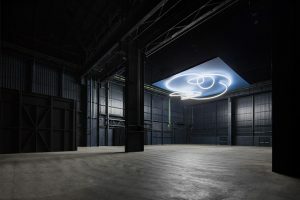 A very special collective exhibition in which, as spectators, you will have a “power” different from the usual, that of being able to touch, modify and even bring home what you will see at the Hangar Bicocca. It is in fact a project already brought to other European cities where the public, taking one of the thousands of copies of each work produced, helps to change the space by making an active experience.